Yoga, the meditative practice originating in India, is excellent for people aiming to attain physical, mental and spiritual balance in their life. Yoga offers you a life changing experience and it’s a process of self-actualization when you can confidently do the asana. Celebrities like Eva Longoria, Naomi Watts, Jessica Biel, Jennifer Lopez and Sarah Jessica have experienced the wonders of yoga. For some it has given them a younger look while for others it has relived them from added stress from the harsh lives they lead. So surrender yourself to the heavenly world of yoga and harness the following benefits to your life. Yoga teaches you the art of living a happy life. With yoga you can find reasons to be happy even during tough and the testing time in your lives. Yoga not only builds you physically but also empowers you mentally. It draws you away from being negative and literally moves you from darkness to light. 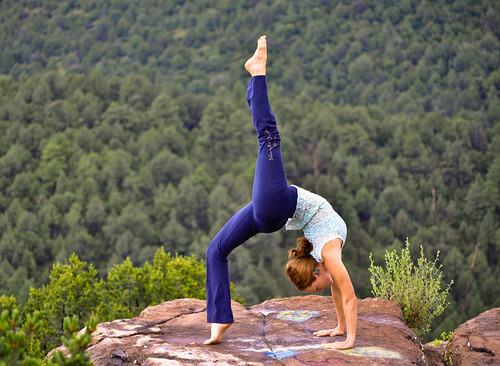 Yoga asanas makes you more flexible. The combination of postures like seated, inverted, and the standing ones along with pranayam and meditation drives your body flexibility. It not only reduces the excess fat from your body but also makes you a stronger person by each passing day. It takes a lot of perseverance and patience to get grip over these asanas but once achieved, yoga becomes an inseparable part of your life. We often feel extremely guilty of over eating, indulging in arguments, losing our temper, shopping excessively, not controlling expenses etc. With yoga, one can get solutions to all of these things. It liberates you from the cage of worries and transforms you into a better person. You learn to have a grip of things in your life. Self-control and temper control as well as time management and achieving the set goals come naturally to you because of yoga practice. So why wait to add a new dimension to your life. Yoga adds a dash of positivity to your life. When the outlook changes from a “want-to-do” to a “can- do-and-will-do” attitude, you become a stronger person from within. With oozing self-confidence and self-belief, there is reassured momentum in your life. You become a changed person with more power results in a stronger ‘you’. Yoga cures many physiological, psychological and biochemical disorders and also prevents them from attacking your body. It improves your memory power and makes you a more balanced person. It can be truly called as a blessing to the human man-kind because it is a holistic approach towards betterment. You can experience all of the above benefits only if you start doing it right away and add a world of difference to your lifestyle. The author writes for urticariacured.com and has written many informative blog posts about HGH, alopecia, skin care, hair care, and yoga, for varoius blogs.